Property Highlights: Mountain & Valley Views. 2 king bedrooms, heated in-ground pool w spa, fireplace. 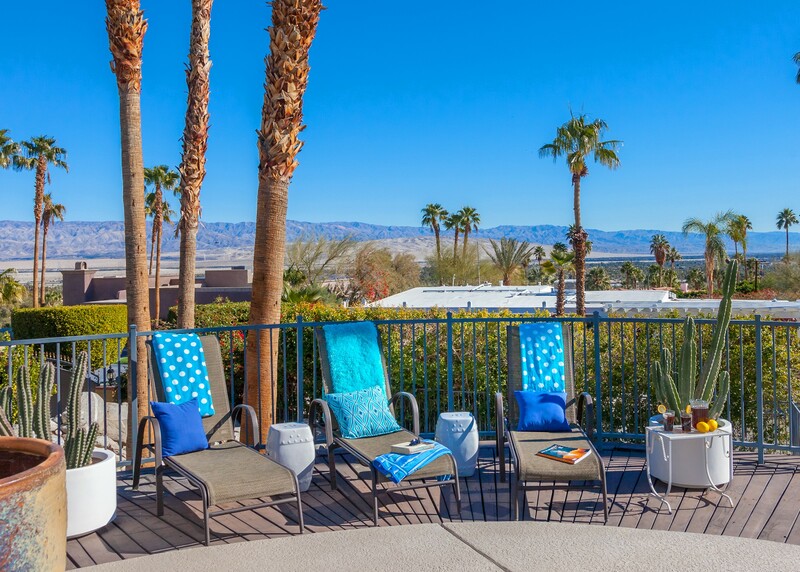 Fabulous Palm Springs Vacation Home Rental where its all about the stunning views and relaxing in the sunshine. 2 King Bedrooms / 2 Baths. Sleeps 4. Heated in-ground pool w spa on a raised deck with magical mountain and valley views. Midcentury architecture meets chic cottage style to create a retro chic, laid back, comfortable desert getaway that Modernists will love. The owners are purists - so they have preserved the 1950s vibe by intentionally keeping the original doors, windows, cabinetry and flooring. Soar above it all with breathtaking panoramic views in a midcentury modern Hilltop Haven. 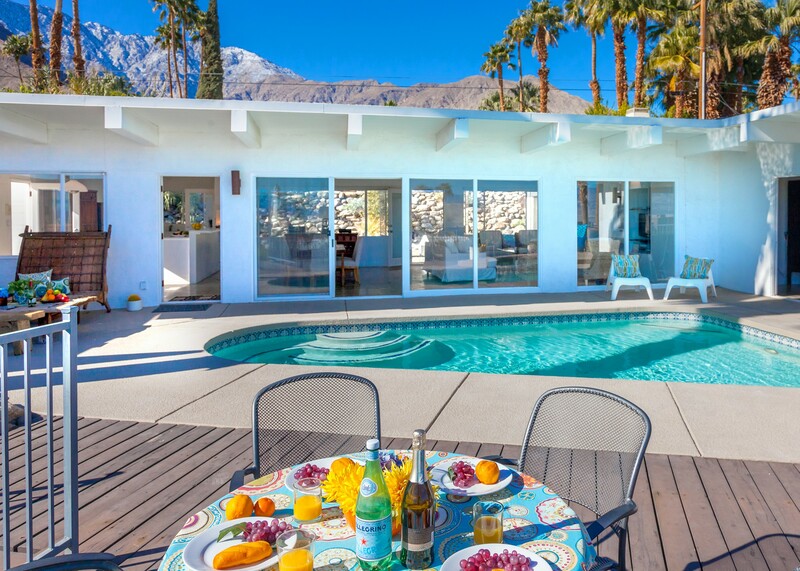 Come relax at this fabulous Palm Springs home where it's all about the stunning views and eternal sunshine. Heated in-ground pool & spa on a raised deck overlooking magical mountains and sweeping valley views. Visitors rave about the sunrises over the valley and the canopy of stars by the fire-pit at night. Classic Mid-Century post and beam architecture meets chic loft style to create a retro, laid back, comfortable desert getaway. This home charms with vintage character. 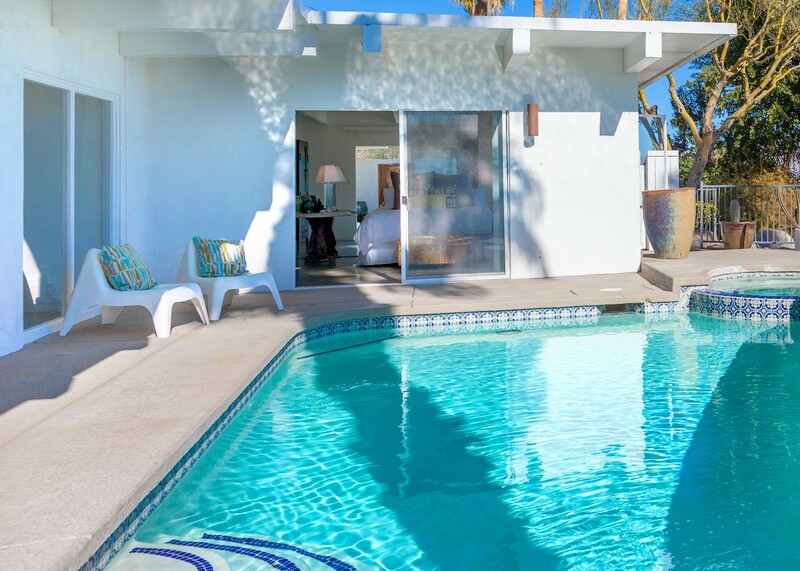 The owners have lovingly preserved many of the original 1950s details by intentionally keeping the original doors, windows, cabinetry and flooring offering all who visit an authentic Desert escape. This unique home is just minutes from all the restaurants and shopping of the Uptown Design District, only 1.6 miles from downtown and is close to all the nearby golf, hiking, tennis, horseback riding and many other outdoor activities that the area offers. With designer and eclectic touches throughout, this comfortable 2 bedroom/2 full bath home has been updated with a loft-like open concept living flair. 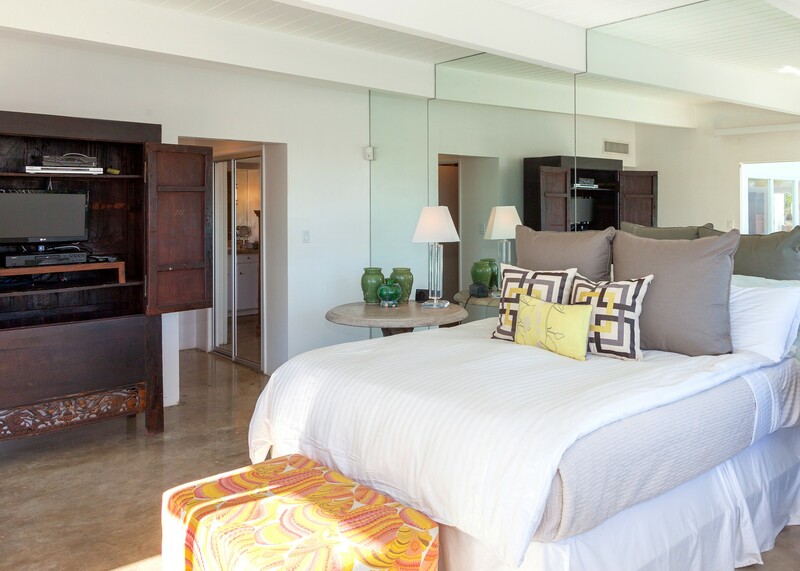 The bedroom suites are at each end of a long hallway for maximum privacy and comfort. One bedroom suite opens onto a sparkling pool, the other, onto a tranquil backyard with fire feature. Both bedrooms feature California King beds. Perfect for two couples! 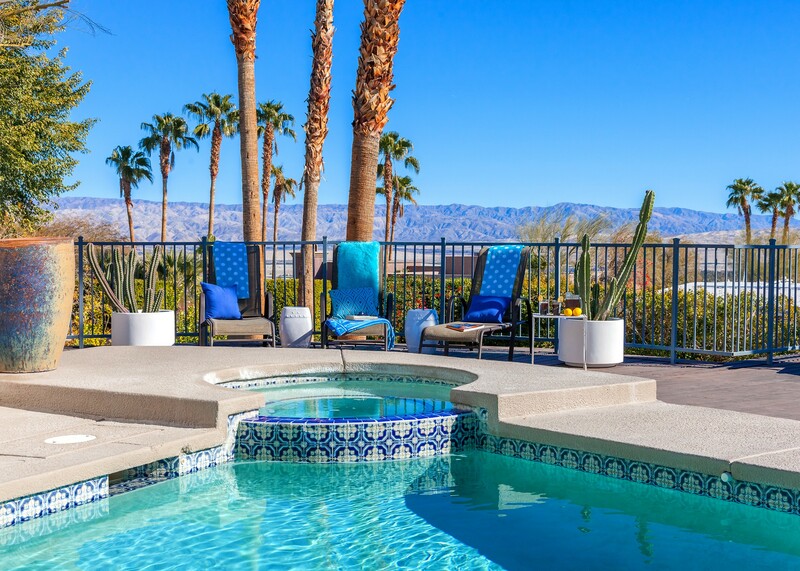 From pool, to spa to fireplace this is true Palm Springs living with the stunning views to match. Your comfort is our priority, so we've equipped this property with many amenities like three flat screen TVs (with HBO), WiFi internet access, telephone (US and Canadian calling included in your rental price), fully equipped kitchen (with dishwasher), washer and dryer, easy to use gas fireplace, BBQ and plenty of outdoor furniture. We welcome you to our desert paradise and we hope you enjoy your stay! *Rates listed in our rate table are subject to change without notice and are higher on weekends, holidays, and special events. Certain dogs will be allowed, please ask. "We had a fantastic stay at the Hilltop Haven for our annual Fall trip to PSP escaping the PNW rain. The property was clean and well appointed (although a lime juicer would have been nice for margaritas). Watching the sunrise over the valley in the morning and the twinkling of the city lights below at night was magical." "The pictures are right on point! This place was absolutely amazing! Great location and great layout in home! Acme House did not disappoint. ;-) Everyone was super helpful and the house was well stocked for all your needs. 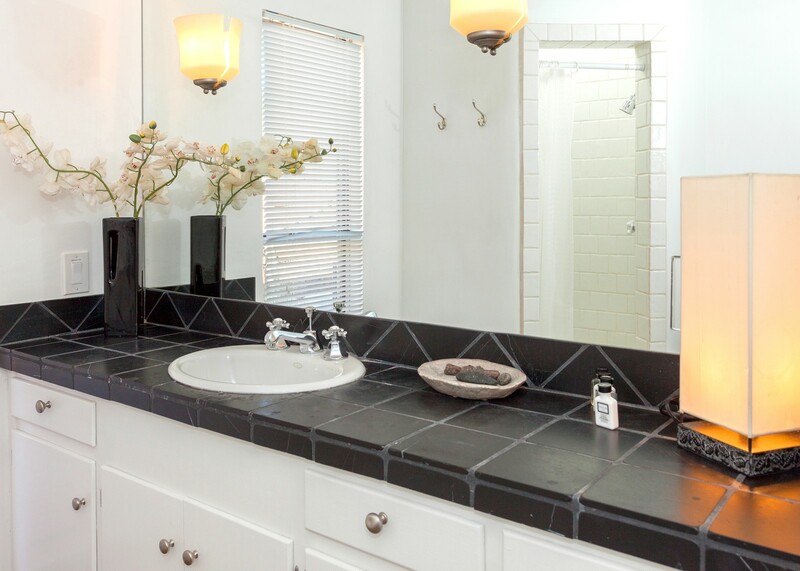 The only suggestion would be to put the grill in front of house and maybe a new shower head in master bath. We truly enjoyed our stay!" "My wife and I decided to come to Palm Springs for a week to add on to a business trip in Las Vegas. We are so glad that we did. The Hilltop Haven house is just as pictured. Acme House Company has this down to a science. They were so clear and timely with all communications leading up to our stay, not to mention the Hospitality app that made the details a piece of cake. Brenda met us at the house upon arrival and reviewed everything about that house and the area. We called Acme with a few minor tings on the next morning and everything was resolved within a couple of hours. The house is beautiful and the setting is unmatched. The view speaks for itself, and the location on the north end is so convenient. 5 minutes to downtown, 2 minutes to the aerial tramway, 10 minutes to the airport. We loved our stay in Palm Springs and we loved our time in the house. We look forward to another trip, and we will use Acme House Company again!" Loved the house. Loved the service. "Fabulous stay in Palm Springs. We loved the house, it's openess, the view and the privacy. Acme House Company is a first class operation. They communicated clearly and took care of any concerns, pronto! I would not hesitate to use Acme House Compant and visit any of their properties again." "This home was absolutely unbelievable. I couldn't have imagined a better home to spend my vacation in Palm Springs in. 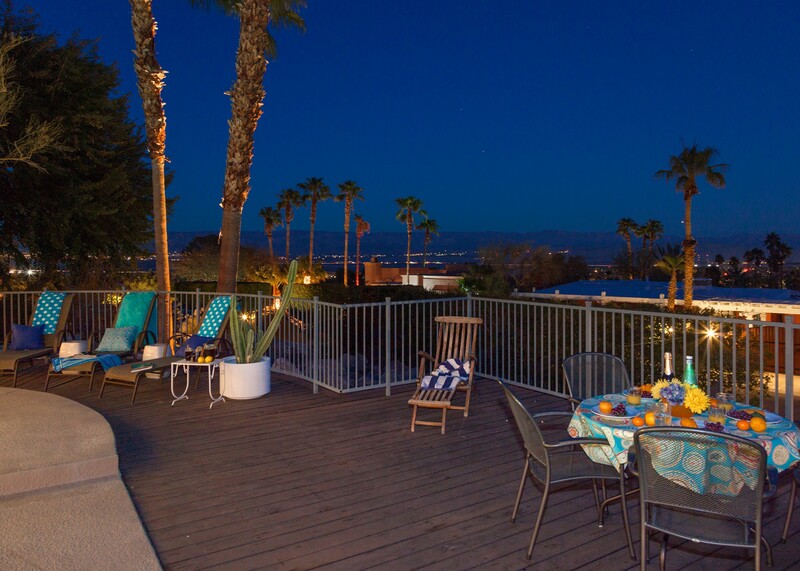 The house had everything you could possibly need, even better than five star hotels.I would highly recommend this home for anyone traveling to Palm Springs and I would definitely love to stay here again." "Vacation rental was everything we were looking for when we booked it! Awesome place for some quiet, private time. Nice pool/hot tub, fantastic views. The extensive windows throughout the living area make you feel like the in-door/out-door areas are one." "The perfect house for our stay with another couple. 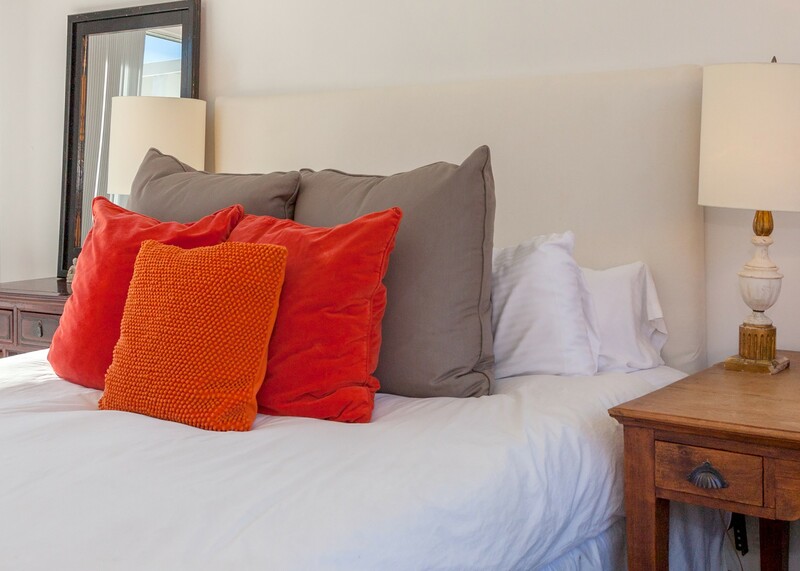 Spotless, well maintained and tastefully furnished. Enjoyed the pool and sunning on the deck. Will definitely stay here again." "Had the best vacation at Hilltop Haven! Will definitely be booking it again. Morning coffee poolside with a gorgeous view of Palm Springs was the best way to start the day. Super clean gorgeous home. Loved every second of our stay!" "Mobile app is very useful and provides all the essential information needed about the property as well as many useful points of interest and restaurants in the neighborhood. The staff were very professional and helpful. 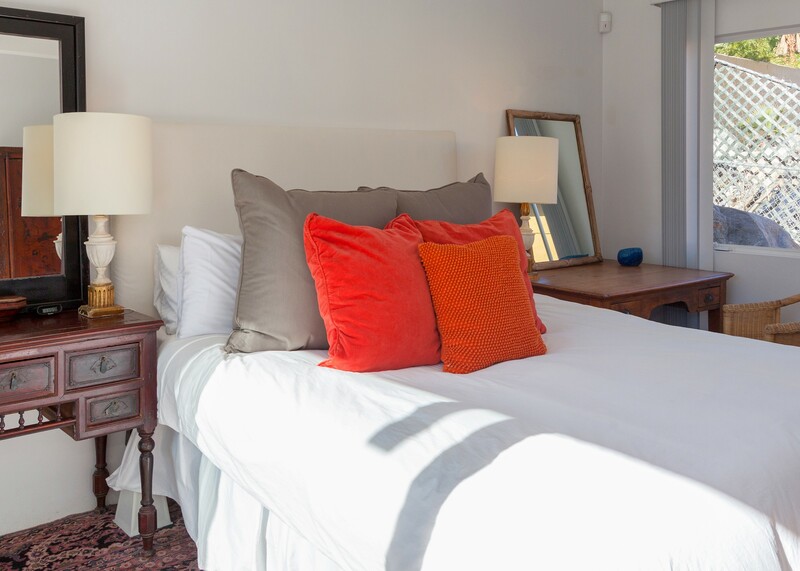 The property was very well laid out styled and appointed, it felt like we were at home. The kitchen was equipped with everything we have in our own home, bed and bathrooms were fully stocked with plenty of towels and bedding. The home had everything needed to make our stay very comfortable. Loved the pool, deck, and fire pit areas. We wish we could have stayed longer. The view was absolutely stunning from the house. We were surprised by how quiet the area was. It made for a very relaxing stay. 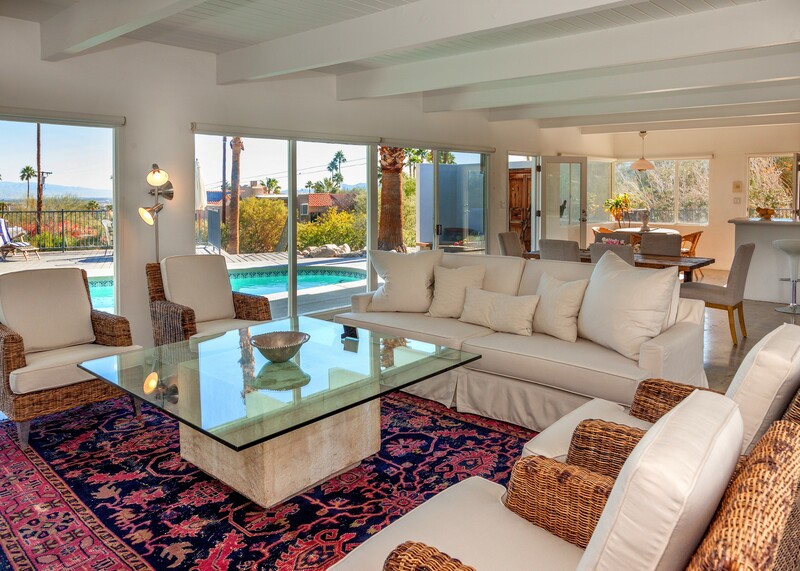 We would highly recommend this property to anyone wishing a first class vacation in Palm Springs. " "If you really want to feel like you escaped the madness - this is the spot. Still super convenient to all Palm Springs has to offer, but feels a world away. The views are amazing, the house is beautiful and comfortable, and service from ACME House Co. is top notch. Can't wait to go back!" "We had a wonderful time in a beautifully maintained ACME home. We were met at the house by a charming concierge who showed us around and pointed out everything we needed to know. She also furnished us with a folder outlining every aspect of the house. ACME's service was also rather impressive--we had a small problem with the TV cable feed and ACME sent over one of their technicians within 20 minutes! The house was also exceptionally clean with lovely linens and abundant towels as well as lots of basic extras in the pantry. We would happily rent from ACME again and we highly recommend their outstanding and very friendly service. " "Excellent style, comfort, and cleanliness! The best part was the view! Can't wait to come back!" Great location, amenities and space! "The pool and hot tub were lovely, and the beds were super comfortable. Really liked that every single question we could have had was explicitly explained with photos for clarity in the notebook provided. Though the biggest surprise has to be the scorpion! I will be recommending Acme, and this accomodation to anyone I can. " "We were looking for a smaller house with 2 bedrooms or less with a private pool, and Hilltop Haven fit the bill! The home was very clean, met all of our expectations from what was advertised. Our pool/hot tub heater went out during our stay and I was very impressed with how quickly you all handled it. We were without the pool for about 24 hours during our stay and you gave us a gift card for dinner. Considering it was a circumstance pretty much out of anyone's immediate control you all handled it very quickly and well. I think we briefly met Marvin and Cesar from your maintenance crews and they were great. I spoke to a couple of different people over the phone who were also great. I truly appreciated how responsive you all were. 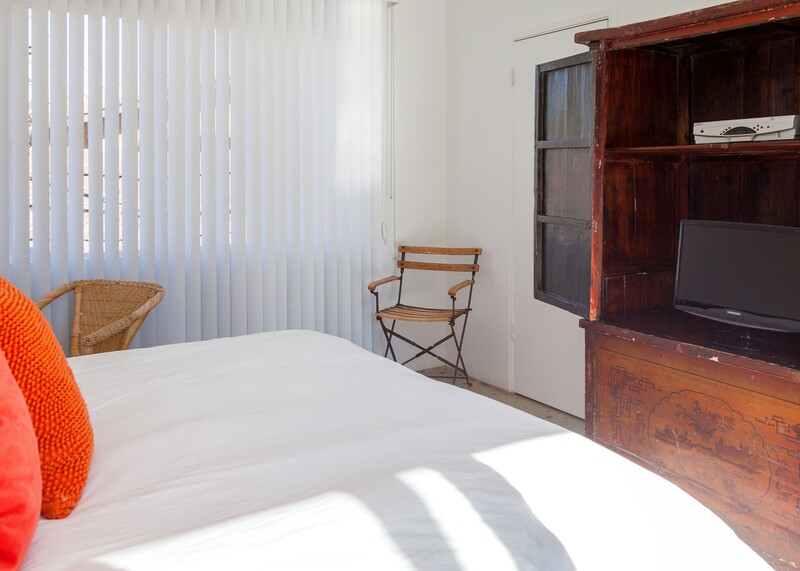 We'll definitely be back and will recommend ACME over all to friends looking for a place to rent in Palm Springs!" Manager Response: Thank you Jason for being such understanding and gracious guests. Unfortunately things do come up that need attention now and then - but we are committed to making sure everyone has a 5-star experience. As you know - we take the vacation business very seriously. Thanks for pointing out the good work of Marvin and Ceasar - they are the back bone of our Property Care Department and are a very important part of our formula for success. We all look forward to your return. "Glad I took my relatives recommendation! Excellent cleanliness, comfort, and style.The best part was the private pool! I would have loved to extend my stay!" "We spent a glorious week at Hilltop Haven over Spring Break and can't wait to return! The house has every amenity and is beautifully decorated. We spent our days lounging in the gorgeous pool and our evenings by the firepit. We did venture out a couple of times and the house is perfectly situated if you want to hit the main drag of Palm Springs for shopping/lunch/dinner. The house is so private, the view is heavenly and we just couldn't have asked for a more perfect holiday retreat. " "Professional property management that offers more security, comfort and visitor needs than AirBnb or other online lodging in private homes. Loved the sunset view! Best part was the the pool and kitchen. The fireplace courtyard could use more amenities i.e. potted plants and more elegant paving materials. Otherwise everything was excellent!" A very good overall stay! "Loved the views! The best part was the hot tub! Very good style, comfort, and cleanliness." A great rate, for a great house! "The team at ACME House Co. is great.! Loved working with Renee! The view is spectacular! I will definitely return soon. We love Palm Springs! " "i stayed at the house during the month of July...this was the 3rd time that I had rented this home. The exterior of the home has wonderful architectural features and the interior is basically an open floor plan which makes for the perfect get-a-away holiday house. The setting is private with wonderful nighttime views and yet is convenient to shopping, cultural activities, restaurants and a nighttime life. The management company gets top rating for their professionalism and prompt attention to any issue...big or small. The layout and setting of the house along with the management team makes for a smooth and wonderful holiday. I have rented this house during various seasons and each time was a good experience. I hope to be back another time." Such a sunny, happy place! 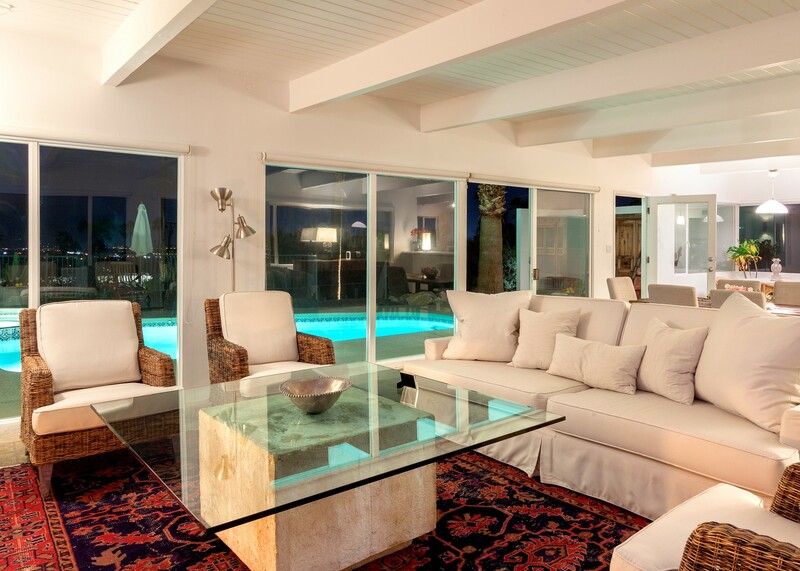 "If you're considering a rental in Palm Springs, this is the company to use! A huge selection of properties to choose from, and very good prices. 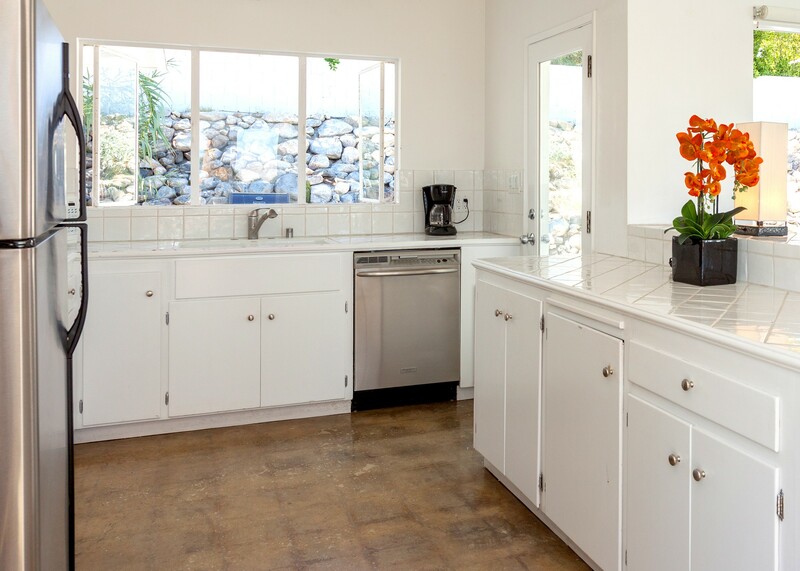 We have been renting each August in Palm Springs for many years, and this was our first time using ACME House Co. We got more for our money than any year past, and will be using Acme for next year's retreat. The rental experience was easy, and no ugly surprises. This house was such a sunny and happy place, offering great views, and so easy to get into town. We have been staying the the Racquet Club area the past 9 years and we thought this was the best location yet! Looking forward to next year! " Manager Response: The one downside was the noise level of the A/C unit. A bit dated and could be disturbing a night to light sleepers. "We stayed at Hilltop Haven in May, and absolutely loved it. We have a four month old and it was a perfect getaway with the pool and lovely grounds, not to mention the close proximity to the restaurants and shops in downtown Palm Springs. We would recommend to anyone visiting the area. " 5 star service and properties! "Stayed at this property previously! Seamless, and no unexpected surprises! We got what we expected! Excellent stay!" "I have rented from ACME House Co. twice. What you see on the Internet is what you will see when you arrive, no surprises. Great service with reservations over the phone and Internet, and very responsive service throughout our stay. We were satisfied with our first experience, that we decided to come back again! We like the range of properties available through Acme, especially the Midcentury design homes. We don't see the need to investigate or go to another rental agency. The best part were the sunrise views from Chino Canyon, and we liked the hiking opportunities in Palm Springs and throughout the Coachella Valley. We will definitely rent from Acme again, and will recommend Acme to others. " 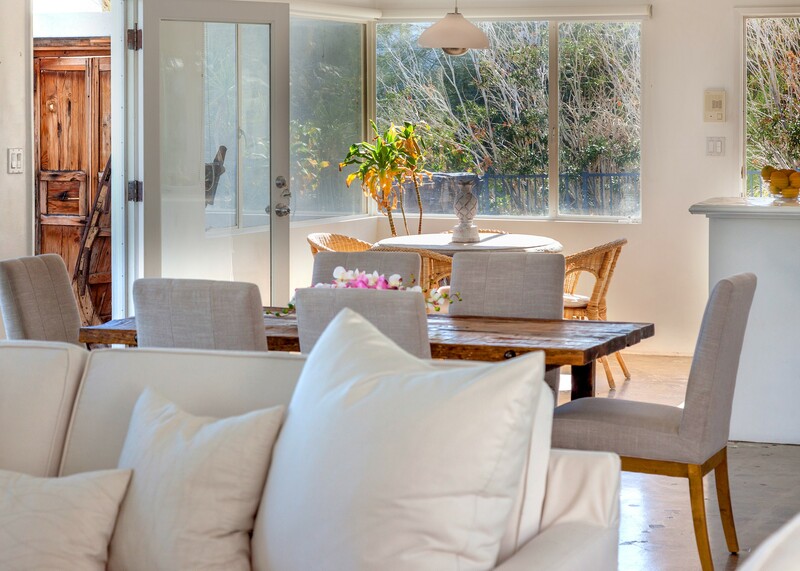 "Beautiful rental homes for a perfect family get-away. The house itself was a good match to our needs, style, and price range. The view and pool,(and view from the pool) never got old. Very good overall stay!" 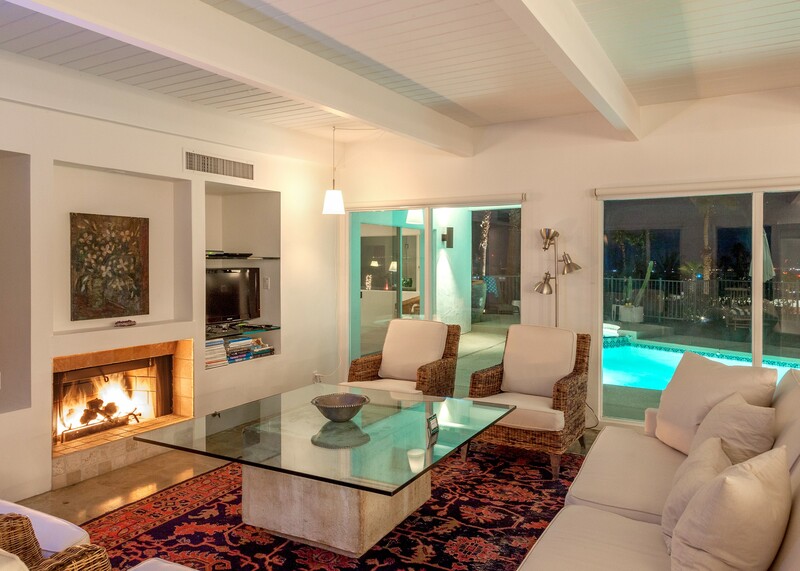 "Wonderful property in Palm Springs! Booking was very easy and quick. We chose this property because of availability, style of the property, near to main town area and near to family also staying in Palm Springs. The property and location was absolutely perfect and fabulous! We felt very at home and safe, and truly relaxed and enjoyed the lovely pool and spa. Will definitely return to Hilltop Haven. " Easy to set up the entire experience! "ACME House Company's App was super for renting this house, and all details were included on the app, so no need to talk with someone on-site, but that was available if need be! The home delivered on our expectations, and we loved the amazing valley views! The house needs a few touch-ups to painting and decking. We loved the property and will rent again! " Manager Response: We thank you for pointing out to us that the house needs a few touch ups to painting and decking. We will have our Property Care Team take a look at the property, and see what necessary work might need to be done. We hope we'll welcome you back again soon. "Beautiful house and any small issues we had, were immediately addressed by ACME House Co. The best part of our expereince was the house design and view. Would definitely rent again. " Relaxing, great place to stay! "Especially liked the view, the pool and the hot tub. Appreciated the well equipped kitchen. Overall, very happy with my stay." "What a wonderful vacation place. Peaceful, quiet and simple. Amazing views both for sunrise and sunset. The heated pool and hot tub are incredible. The kitchen is large and well equipped. 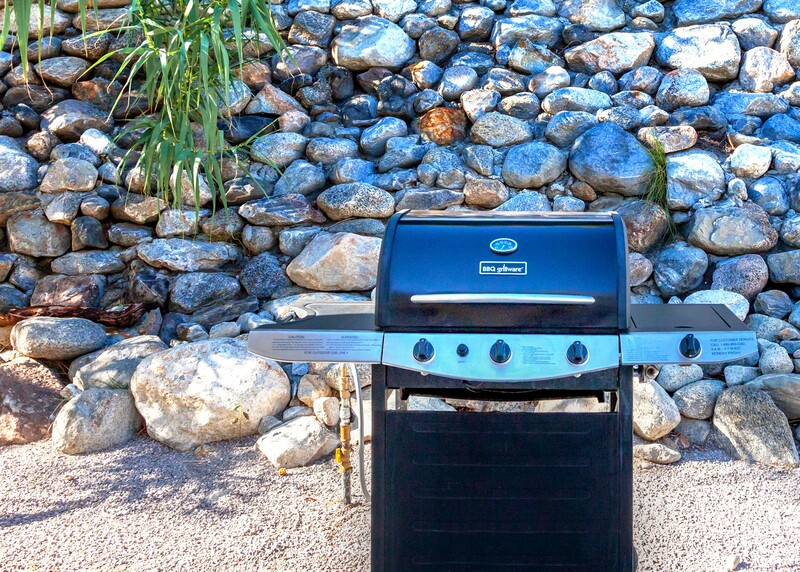 The grill and fireplace both great. Just a very relaxing and peaceful rental. Also felt safe and secure at the property. I will be back for sure. Thanks to Acme and the owners for providing such a great place to stay. Highly recommend for someone looking for a simple but beautifully relaxing place." "Very Nice. We chose this property for the location and price. Property was what we needed for 4 guests - pool and spa, laundry available. Comfortable. Pool, spa, beds - comfortable. Lots of closet space, lots of sunlight in the house. Outside landscaping along the driveway and step could use a bit more lighting. 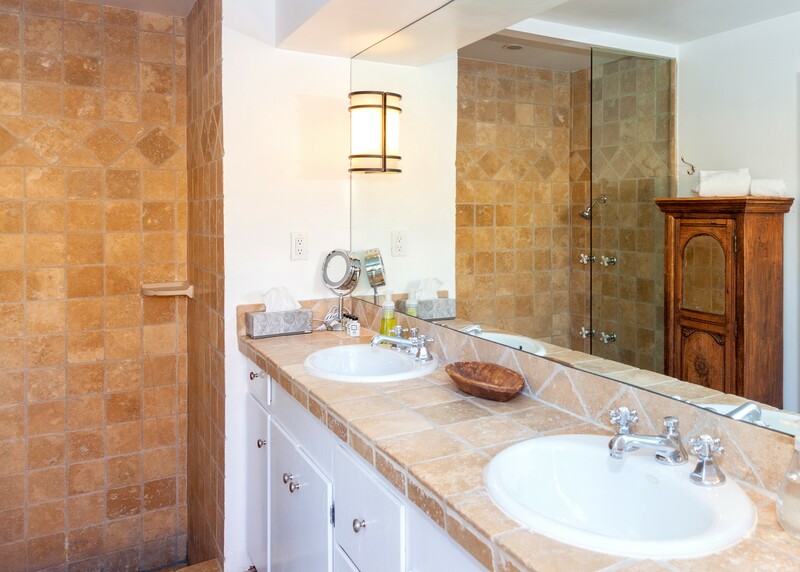 Master bath could use a few additional towel rings/hooks." I would like to come back to this house! "The house and the setting truly portray a holiday house: the style has clean and linear lines which reflect the 'Palm Springs look'. It's a comfortable house that is easily maintained. It offers privacy within the house due to the separation of the rooms and the common areas offer settings for leisurely activities. The house has stunning views of the valley and the mountain range in both the day and the evening. The sunrise and the evening lightening flashes in the distance are dramatic experiences that are wonderful to view each day. Hilltop Haven is just outside of the center of town. The downtown, movie theaters, airport, markets are all minutes away, yet the house is just far enough away. Truly a pleasurable experience. "